Sberbank was authorized to conduct such tenders by Governmental Decree no. 843 (from October 28, 2009) "On measures to implement Article 6 of the Kyoto Protocol of the UN Framework Convention on Climate Change". Joint implementation (JI) is one of the mechanisms of the Kyoto Protocol - projects executed by industrialized countries in the territory of other industrialized country. Reduction of emissions, which follows implementation of such projects, is counted for the donor country. Official Sberbank website reads that the tender limit is 30 million tons of CO2 equivalent. Applications of greenhouse gas sources sector and greenhouse gas absorbers sector are eligible. Thus, the limit of the current tender does not allow to remedy in a short time the situation caused by sluggishness in creation of Russian system for JI official approval. Significant investments have already been missed by the lack of a working procedure, but the tender competitive system, which is not adopted in other countries, and limit of 30 million tons of CO2 equivalent, leaves no hope that JI projects in Russia might begin rapidly. 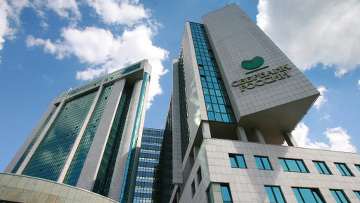 Reception of applications is carried out from February 17 to March 12, 2010 by administration in the field of energy conservation and environmental management of Sberbank. In order to expedite the processing of submissions of applications Sberbank recommends that applicants: pre-record for the time of filing, provide copies of documents and information materials in electronic form, provide notarized translations of documents, prepare a short description of the application and file it together with the application materials. These recommendations are not binding and can not be grounds for refusing requests, Sberbank notes. According to experts, Russia could potentially take up to 58% of the world market of JI projects.